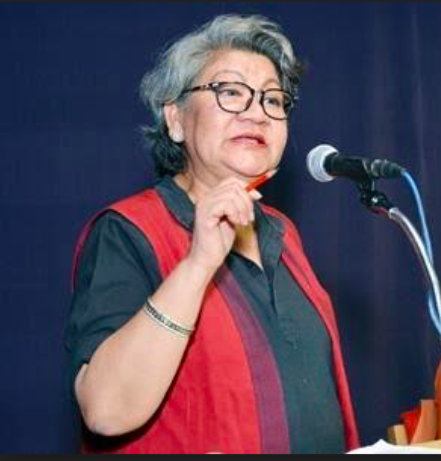 "There is a lull -- a calm before the storm -- sort of thing, at the moment in Nagaland"
Monalisa Changkija, Editor, Nagaland Page has been a strong voice demanding implementation of 33% reservation for women in urbal local bodies (ULB) in Nagaland. ICF interviewed Miss Changkija to get a picture of the situation in Nagaland a month since the eruption of violence over protests against reservation for women in ULB leading to the death of two youngsters. It has also been ten days since Shürhozelie Liezietsu was made the new Chief Minister since T. R. Zeliang was forced to resign office. Upon appeal by the Naga Mothers' Association (NMA), on April 2016, the Supreme Court had directed the state government to conduct municipal bodies elections with 33% reservation for women. Zeliang’s government upheld the ruling. This infuriated the tribal bodies in Nagaland. Under the Joint Action Committee (JCC), bandhs were called opposing the February 1 elections and resulted in the death of two protestors on the night of 31 January. How do you see the argument that “Naga people are not averse towards the reservation for women in the ULB, but they cannot accept the Nagaland Municipal act because it would violate Article 371A”? There is no argument that some Naga people are unambiguously averse to women’s reservation in ULBs ~ they have said so and our local newspapers are witness to that, as much as some of their quotes cited in articles/features/reports written by non-Naga Journalists in several newspapers and news portals, as also television interviews. And let us not forget that the bandh called from January 28 to February 1, 2017, was initially and originally called against women’s reservation. Let us also not forget that to stop the women’s reservation, candidates were prevented from filing nominations, and/or forced to withdraw their nominations, and those who did, were actually ex-communicated by their tribal bodies. That the issue of women’s reservation was hijacked and sidelined after January 31, when two young men were killed, is history that needs probing, dissecting and analyses. The first question I would ask here is whether the bandh called from January 28 to February 1 by tribal bodies, included in their agenda the destruction of the private property of any individual? If that was not in the agenda, would the two young men have died? These are questions our tribal bodies must answer ~ and Naga society, as much as the country, must demand their answer. Further, it would provide us more insight into Article 371 (A) if those who cannot accept the Nagaland Municipal Act on the ground that it would violate Article 371 (A) elucidate why and how this Article would be violated ~ so far, I have not seen any logical and legally “up-holdable” argument towards this un-acceptance of the Act. Both, those against reservation for women and those for it, are claiming to be the “voice of the people”, what is the scenario on ground? No, at no point of time have those for women’s reservation claimed to be “voice of the people” ~ at least I haven’t come across anyone claiming that, not even the Naga Mothers’ Association, who are going by the letter and spirit of the law and of the Constitution. You will find that generally and normally, it is always and inevitably the male-dominated or all-male bodies that claim to be the “voice of the people”, which goes without saying is very questionable. Why do you think Angamimiaphu Mechu Krotho (AMK), Sumi Totimi Hoho and Chakesang Mothers Association (CMA) have dis-associated themselves from the Nagaland Mothers Association? What has been the impact of their distancing from NMA? Because they were forced to by the male-dominated and all-male tribal bodies of their respective tribes. You must understand that in Naga society, women are always expected to play the subservient role and inevitably women do so simply because the patriarchal ethos are so dominant and embedded in women’s psyche ~ and often appears to be insurmountable. It is sad that “keeping the peace” within the home and the tribe becomes more important and imperative than gender justice. But all is not lost because it is not as if these women’s organizations have stopped associating or cannot and will not associate themselves with the NMA in future. We must not forget that there are several Naga tribal women’s organizations that are not card-carrying members of the NMA but are very much associated with the NMA in numerous ways ~ a prime example is the total support they extended while filing the Special leave Petition (SLP) in the Supreme Court. Besides, take the instance of the all-male or male-dominated Naga Hoho, which emerged during the 1980s and is not actually a traditional Naga “apex” body, as the media daubs it. At the moment, there are only four or five Naga tribes out of the sixteen tribes of the state of Nagaland, which remain with it, the rest have dis-associated themselves from it in the past couple of years. In fact, about six tribes of Nagaland were never a part of it right from the beginning ~ although they may have been associated with it on certain issues. So, you see, there are several interplaying factors that determine association or dis-association of respective tribal organizations, whether of men or women’s, or even youth’s, from so-called “apex” organizations that are seen or misconstrued to represent all Naga tribes. To understand this, one has to know and understand the dynamics of Naga tribes’ relations ~ here I consciously avoid using the word “politics” because Naga tribes relations encompass so much more than “politics”, as is generally understood. How has the scenario been since the new Chief Minister has taken office? Have there been any signs of implementing 33% reservations for women in urban local bodies? So far, from what I have seen, heard and read, there appears to be silence from the new Chief Minister vis-à-vis the women’s reservation. I would say there is a lull ~ a calm before the storm ~ sort of thing, at the moment in Nagaland. But this cannot and will not last for long because although a new Chief Minister has taken over from February 22, he belongs to the same political party as the previous Chef Minister. And it was the same party’s Government that enacted the Nagaland Municipal (Third Amendment) Act, 2016, with the 33% reservation for women, which has not been revoked or repealed as yet. Meanwhile, those who oppose the women’s reservation on grounds of it violating Article 371 (A) haven’t had a change of heart as yet. And Article 371 (A) continues to be in force. I think, after all that has happened ~ particularly since the end of January ~ we need to give time to all involved and concerned. Especially the new Chief Minister, to take a deep breath before taking a fresh look at the issue, because resolving it once and for all is important and imperative. After all, Article 243T of the India Constitution cannot be wished away or circumvented in any way on any grounds ~ not if gender justice, which I would like to believe is what the Indian Constitution hopes to achieve. It is also the objective of state Governments across the country ~ never mind the historical, political and cultural backgrounds of the states. Read the article Reservations for Naga Women in Urban Local Bodies is a Must!